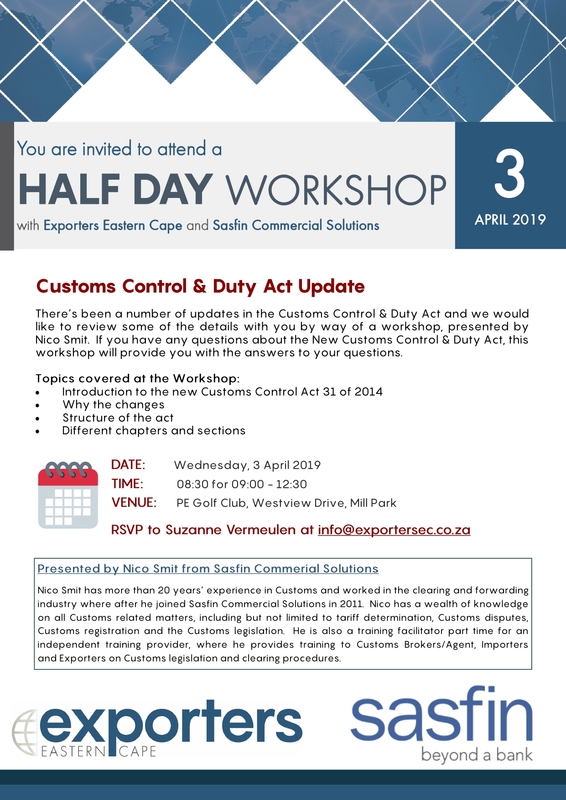 You are invited to a half-day workshop hosted by Exporters Eastern Cape and Sasfin Commercial Solutions on the updated Customs Control and Duty Act. 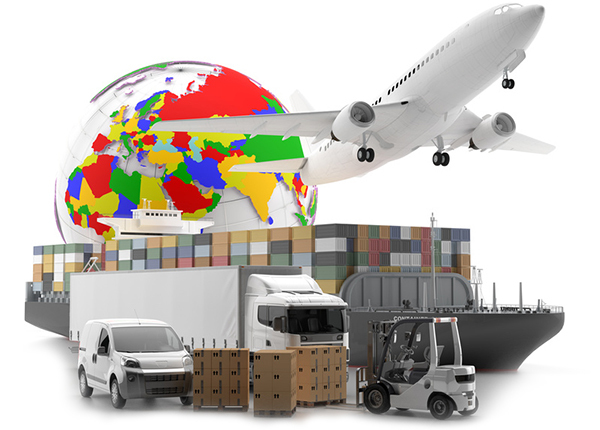 There has been a number of updates in the Customs Control & Duty Act and this workshop, presented by Nico Smit, will provide you with the answers to your questions. Please note that the workshop has been rescheduled to take place on Wednesday, 3 April 2019. RSVP by clicking on the button below.